The road trip from Sydney to Brisbane is a popular route if you have a rental car and are looking to experience the Australian east coast. This 12 hour drive will take you past beautiful coastal scenery and many interesting towns. 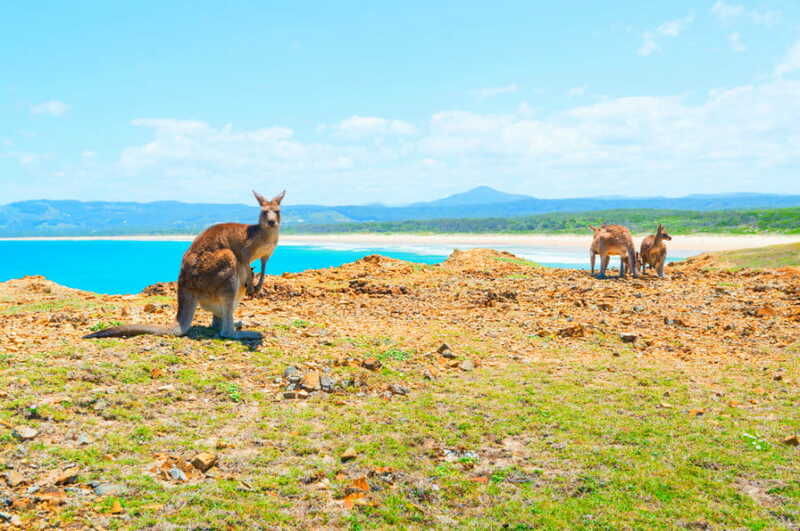 VroomVroomVroom would like to share some ideas on how you can make the most of your trip Down Under. Head north on the Pacific Highway to start your journey to Brisbane. As you leave the iconic skyline of Sydney in the distance, you will find many interesting stops to explore along the way. 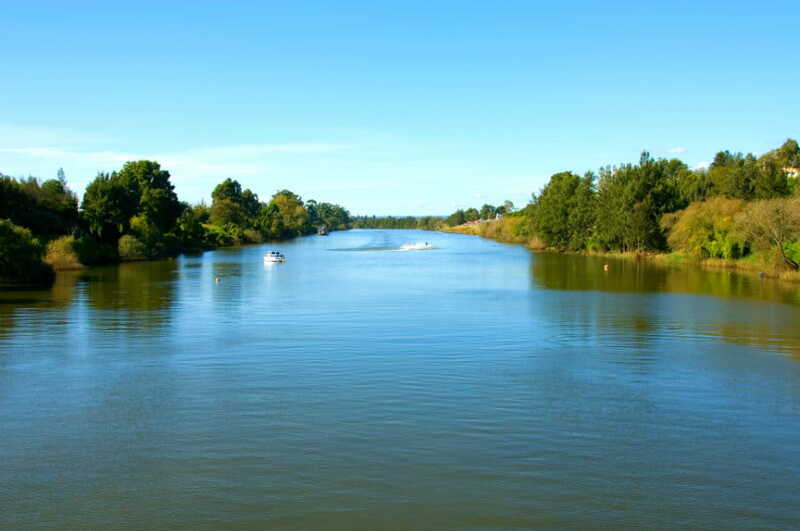 One of the first famous stops is the mighty Hawkesbury River, fenced by three national parks flowing into the scenic Broken Bay. If you have limited time to spend in the area, try to visit Ku-Ring-Gai Chase, one of the most popular parks in the region, full of lovely walks and interesting Aboriginal paintings. Fishing and sailing are popular activities at Broken Bay itself. Another popular stop nearby is Terrigal. This is a popular holiday destinations among Australians, and it is easy to see why. With protected harbours and great beaches for surfing, you will find plenty to do in this coastal town. The Pacific Highway from Sydney to Brisbane aka The Legendary Pacific Coast is a drive not to be missed. Listed as one of the best road trips in Australia, the 900km scenic drive takes you on an adventure with picturesque National Parks, rainforests. lush farmlands, historic sites and beautiful beaches. 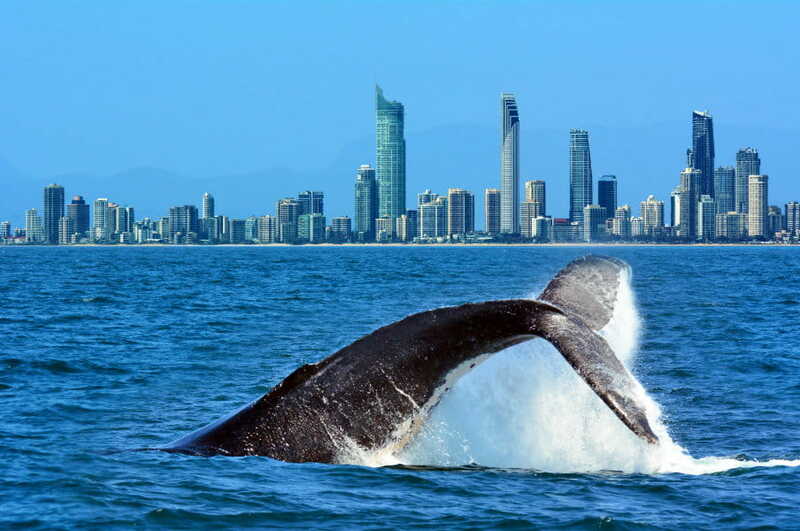 Make sure to check out the highlights which include Port Stephens, Coffs Harbour and more. As you make your way deeper into Australia's popular Central Coast region, be sure to stop in at Newcastle. 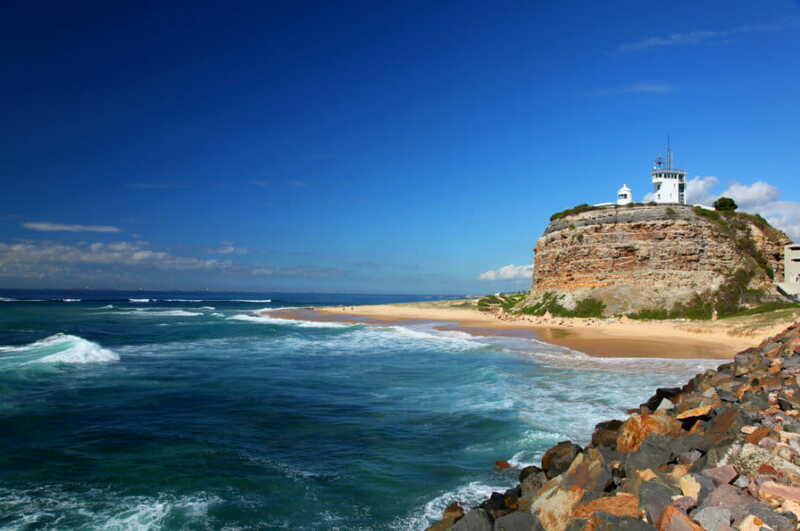 The city boasts five stunnig beaches, with the most popular being Nobbys Beach. 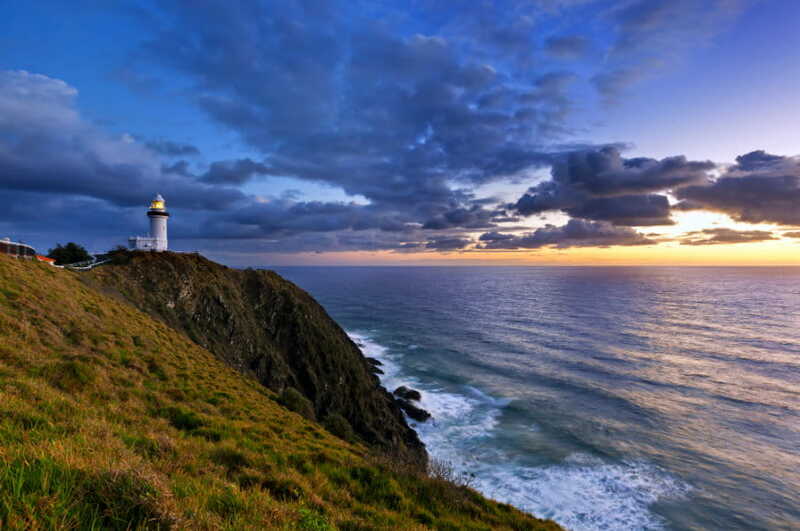 The Nobbys Lighthouse is another famous landmark worth seeing. Newcastle also has a thriving music scene, a huge student population and beautiful colonial buildings. If you're looking for some good dining options, head to Darby Street. Other fantastic things you can do in Newcastle include enjoying the sunset on Lake Macquarie, getting up close with the native fauna at Blackbutt Reserve, going on a Hunter Valley wine tour as well as romantic picnic at King Edward Park. Only a few hours drive from Newcastle is Port Stephens best known for its dolphins. Ever wanted to swim with dolphins? See if you can spot a dolphin here, with a population of bottle-nosed dolphins often lingering near the coast. There are also charter vessels available. If you are looking for other fun things to do here, we recommend these activities: hiking to Mount Tomaree, horse riding with Sahara Trails, camel rides with Oakfield Ranch, exploring the beaches, quad biking with Sand Dune Adventures, trying some exhilarating water sports and activities and seeing the koalas with Tilligerry Habitat Association Inc. Be sure to check out the Toboggan Hill Park in Nelson Bay, which is situated across the bay from Port Stephens, so you can immerse yourself before leaving. 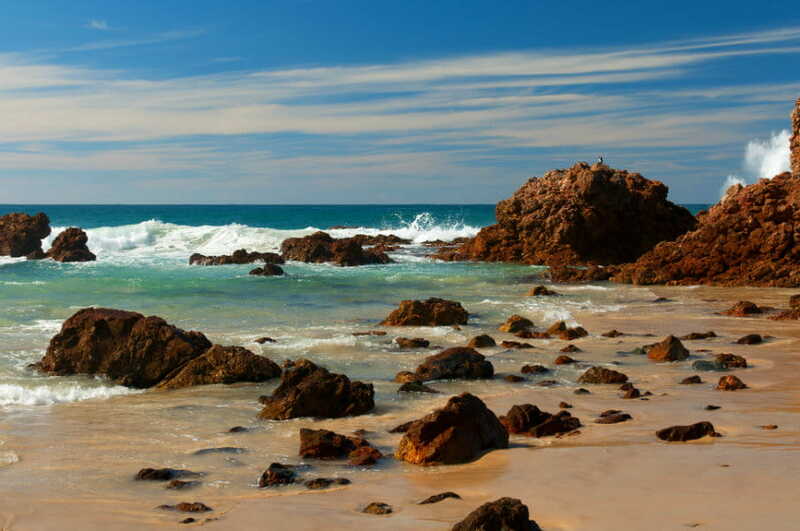 Port Macquarie has plenty of things to try and do for everyone providing fun and thrilling activities such as bodyboarding, walking on the beach, friendly family wine time, high-scenic river cruises and more. Now known as the official capital of bodyboarding in Australia, it's no surprise why Port Macquarie has also become one of the most popular tourist destinations in Australia. Further along the highway you can enjoy Nambucca Heads. Other places to check out include: Avoca, MacMasters Beach, Copacabana Beach, The Entrance and Toowoon Bay. Another hotspot for those driving from Sydney to Brisbane is the Coffs Harbour. Aside from its gorgeous beaches, the city is also known for the Big Banana monument and amusement park, which was constructed in 1964. This has become one of Australia's first Big Things along with Big Apple, Big Avocado, Big Bench, Big Bowl, Big Bottles, Big Flower and many more. 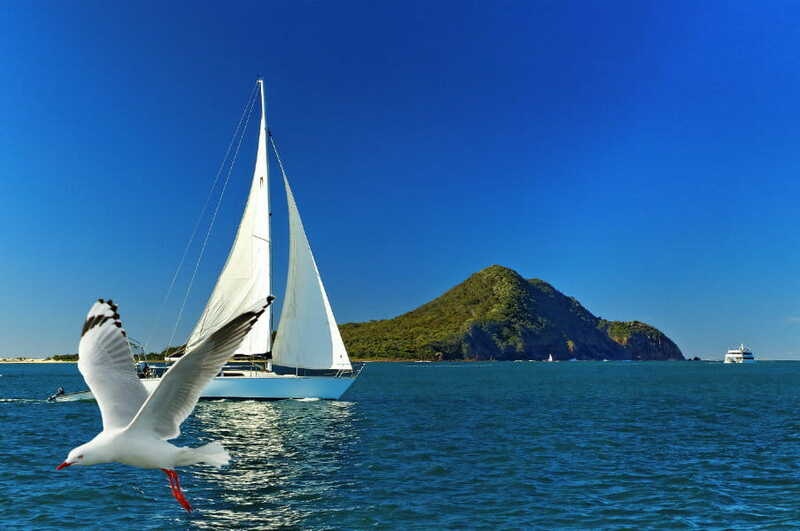 Other cool things to do in Coffs Harbour include visiting the Muttonbird Island Nature Reserve, Forest Sky Pier, Clog Barn and the Butter Fly House. Taking a camel ride with Coffs Coast Camels, skyding with Coffs Skydivers and scuba diving with Jetty Drive. Just an hour drive from Coffs Harbour is the gorgeous Dorrigo National Park located only 5 kilometres east of Dorrigo. The north east corner of New South Wales is home to interesting towns like Bangalow, Mullumbimby, and of course Byron Bay. You may also want to stop in at unique towns like Mooball, where telephone poles and service stations are painted with dairy cow patterns, or experience the alternative vibes of Nimbin. Some other mandatory things to do when in Byron Bay are seeing the Lighthouse. learning to surf, ocean kayaking as well as driving out to the hinterland. The area is also home to rolling hills, pretty beaches, rainforests, spectacular bushwalks and a chilled out atmosphere that will make you consider investing in a comby and a digeridoo. The local pub scene is also worth checking out. A few great options include the Byron Bay beach Hotel, the Nimbin Hotel and the Tumbulgum Tavern. Driving past Tweed Heads, you will eventually find yourself in the vibrant Gold Coast. There are numerous things to explore in Gold Coast boasting with stunning beaches, lush rainforest, waterfalls and theme parks. Of course, the biggest attraction in the Gold Coast is its spectacular beaches, as well as the famous stretch of sand at Surfers Paradise. Make sure also to get your heart racing at famous theme parks including the Sea World. Warner Bros. Movie World, Outback Spectacular and Wet 'n' Wild. Another popular destination is Surfers Paradise, where there are plenty of opportunities to spend money like Jupiter's Casino. Experience the lively nightlife along Orchid Road, and try not to spend too much money and end up making your way to Brisbane penniless. When you reach Queensland's capital city, explore Southbank, the West End, walk along the Brisbane River and try some of the great local restaurants. For a chic suburb, head to Bulimba, or try Milton for good food. Rosalie is a great option for delicatessens and innovative cuisine, and for boutique shopping explore Fortitude Valley.